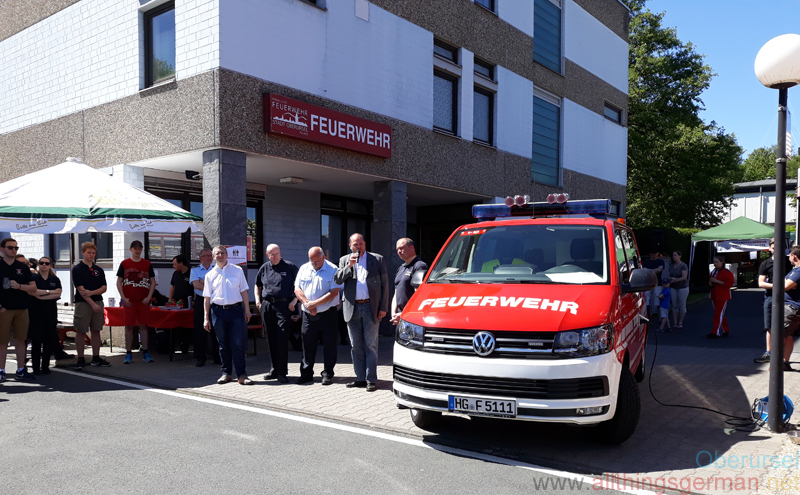 During their annual open day on Sunday, 6th May, 2018, Oberursel’s fire brigade in the Marxstraße officially took delivery of their new mobile command vehicle, with the keys being handed over by the town’s treasurer Thorsten Schorr to the town’s fire brigade inspector Holger Himmelhuber. 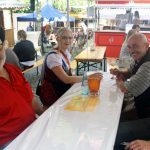 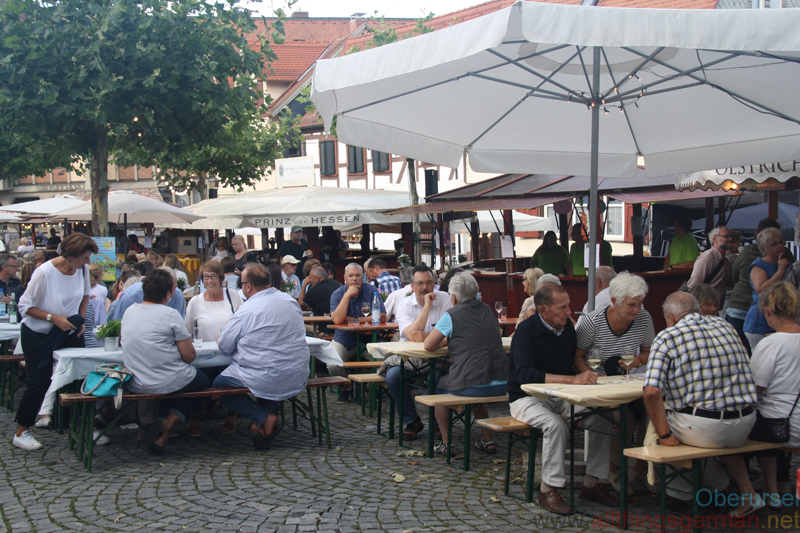 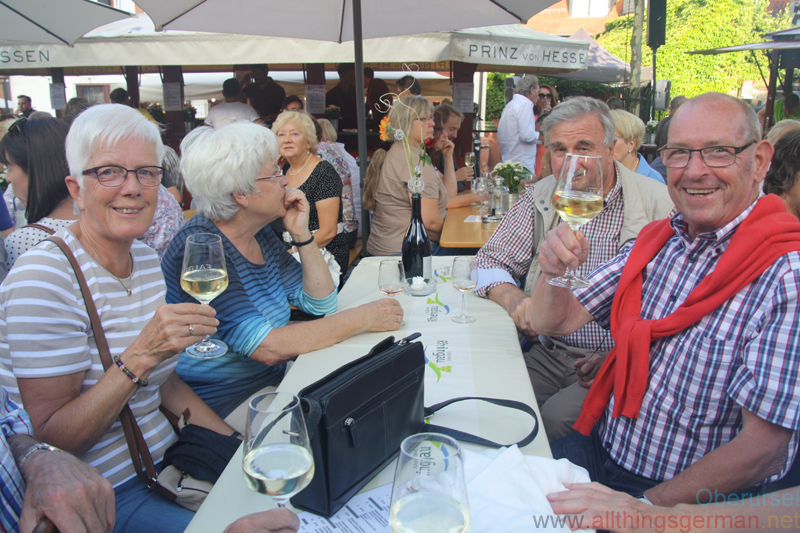 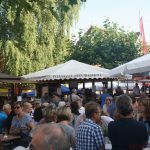 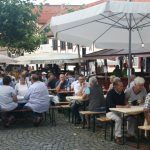 The Waldfest in Oberursel traditionally takes place on the last Saturday of the school holidays, which in this year fell on the 12th of August. 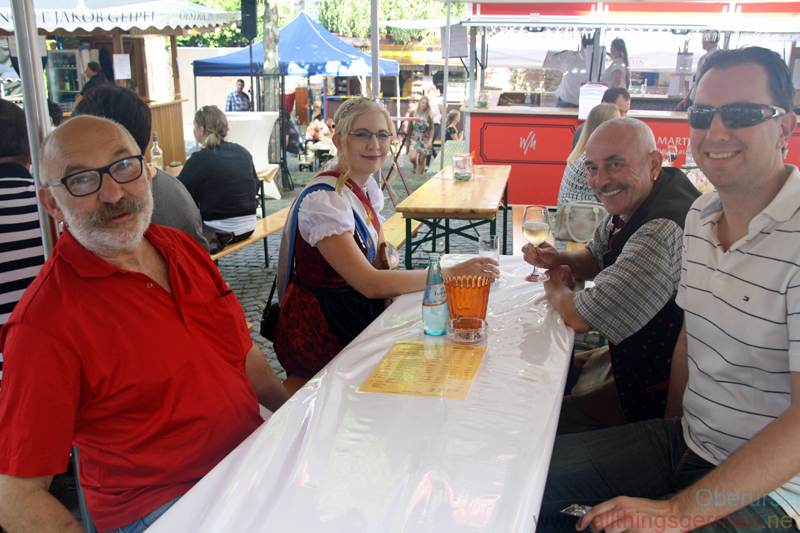 Regular visitors will have found lots of familiar faces and activities from previous years. 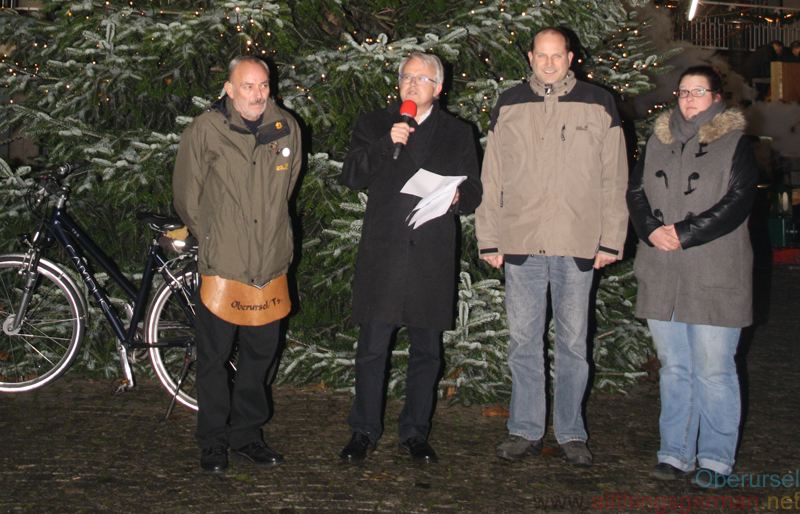 Bernd Peppler and Liisa Inkinen were there with their birds of prey “Ukko” the eagle owl and “Pekko” the harris hawk. 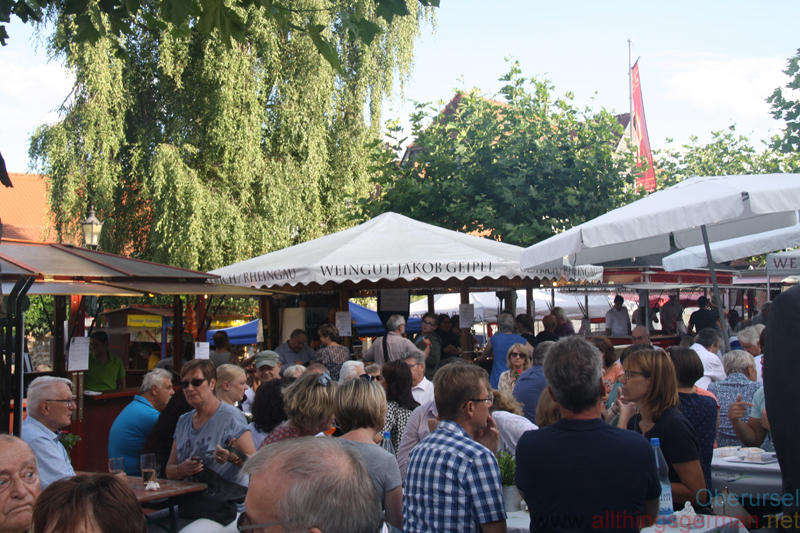 There were stands to learn about bees, and nature quiz and of course the pond observations. 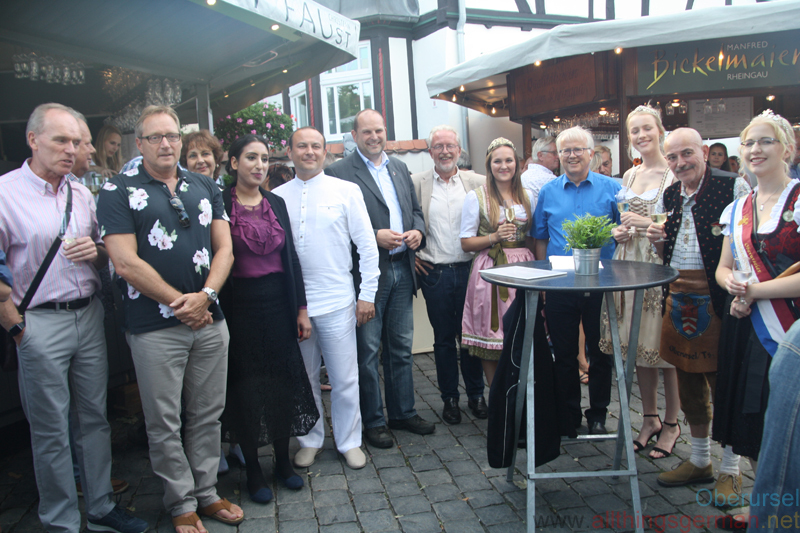 There were guided tours through the woods, as well as coffee, cakes, salads and the barbeque. 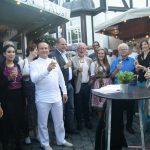 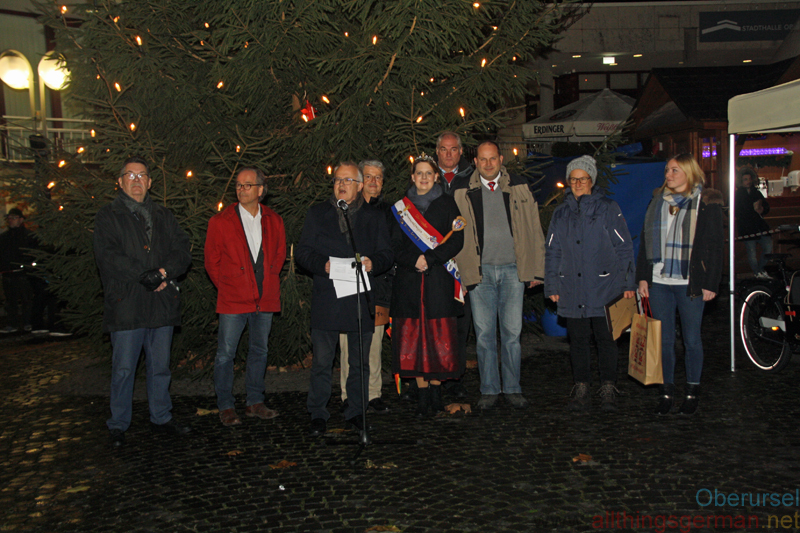 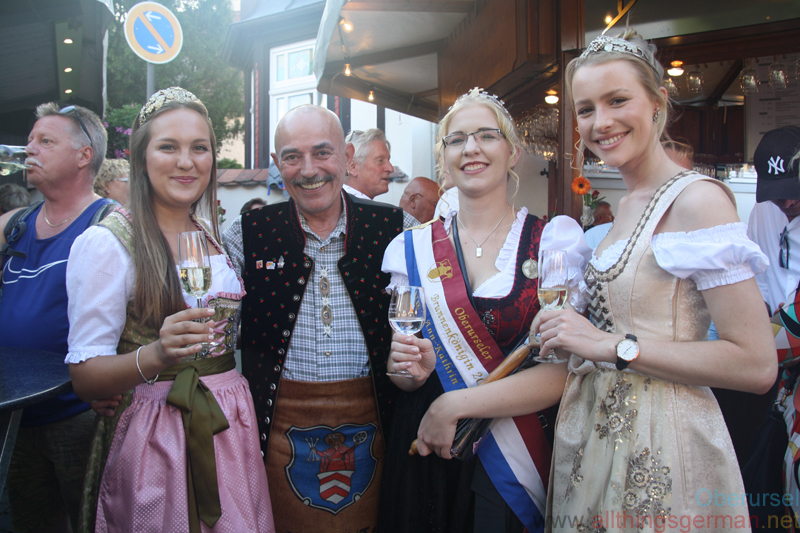 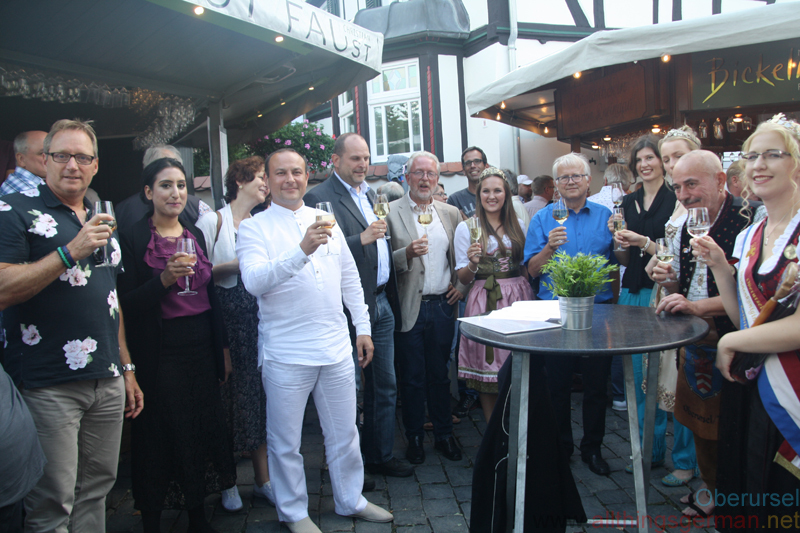 The wine festival was opened this evening by Mayor Hans-Georg Brum and Fountain Queen Ann-Kathrin I. 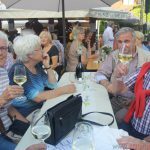 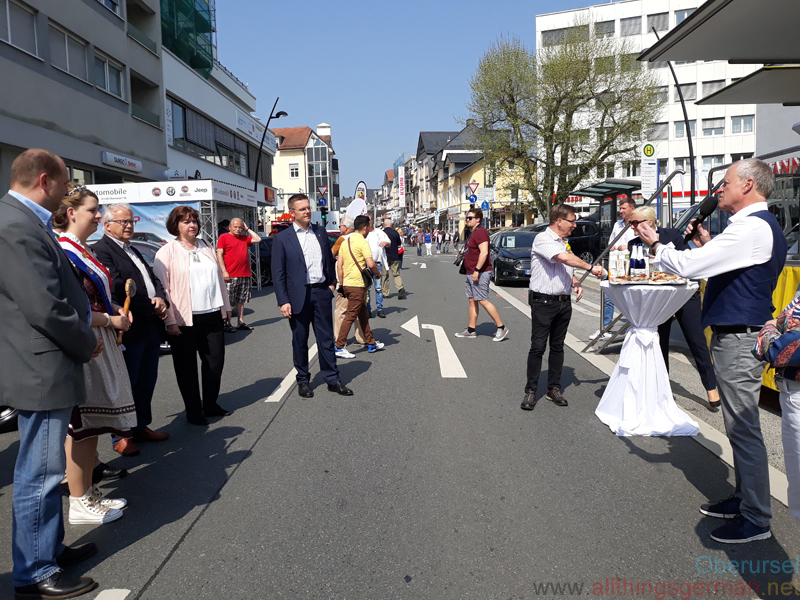 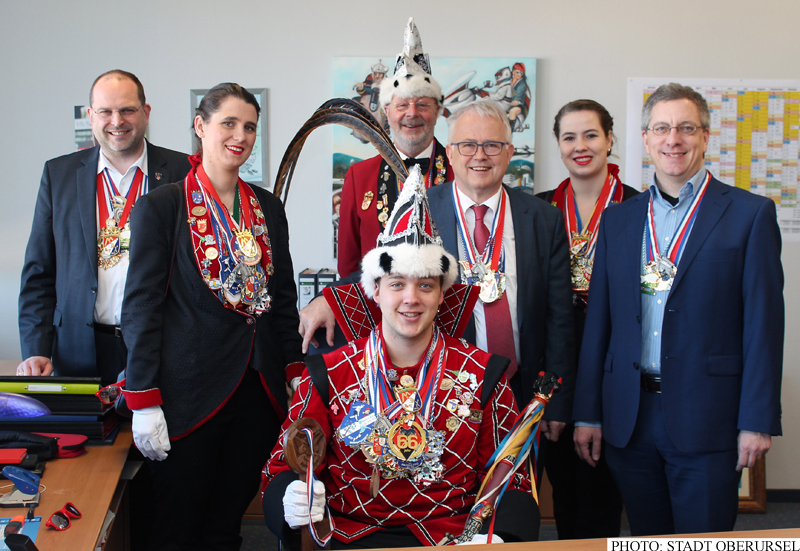 They were accompanied by wine dignitaries from the Rheingau area and from Oberursel’s twin towns Rushmoor and Lomonossow.